KYLER ZELENY (1988) is a Canadian photographer-researcher and author of Out West (2014) and Found Polaroids (2017). His current photographic research interests deal with contemporary rural issues and how geography extends identity and creates community. His personal interests are in found photography, family albums and the politics of archives. He received his bachelors in Political Science from the University of Alberta and his masters from Goldsmiths College, University of London, in Photography and Urban Cultures. He is a founding member of the Association of Urban Photographers (AUP), a guest editor for the Imaginations Journal for Cross-Cultural Image Studies and a guest publisher with The Velvet Cell. Kyler Currently lives in Toronto, where he is a doctoral candidate in the joint Communication and Culture program at Ryerson and York University. KYLER ZELENY grew up on a farm in Central Alberta. The farm isolated him, it taught him lessons about the prairie landscape and the importance of a vibrant imagination. As a result, he is left with a propensity towards open spaces, a residue of his upbringing, and mega cities, a response to his desire to connect. His work is influenced by a fascination for elements of the past and a pondering for the future. As a result, he rarely lives in the present. He believes one of the highest virtues is not intellect itself but the pursuit of knowledge, whether that is learning how to weld or reading Bourdieu. 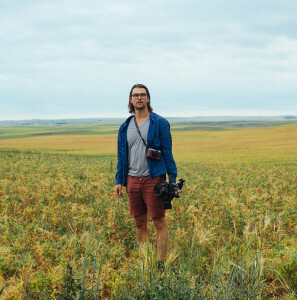 Over the last five years, his pursuit of knowledge has taken him onto the back roads of rural Western Canada and the occasional dip into Montana. Sleeping in his car, showering in lakes and community pools, he occupies his time trying to understand present-day ideas of rurality and how it has been visually represented. This pursuit of understanding the rural consumes him, but that’s ok because he thinks it’s important work. Newsletter. Once a Year. No BS.